Inhalant Abuse Among Employees: Should DOT Supervisor Training for Reasonable Suspicion Include This Substance? For some, getting high is as close as a can of spray paint or a few ounces of gasoline. Inhalant abuse, often called “huffing, or “sniffing,”” generates a quick high from breathing a variety of easy-to-acquire chemicals. From nail polish remover to solvent glue, some people will seek out this cheap and easy method to change the way they feel -- get high. But will it happen in the workplace? Or will you see its effects in an employee who has brain damage from the practice of huffing volatile chemicals? And is it important to put in DOT Supervisor Training. Inhalant abuse was once thought to be prevalent among teens and young adults, especially those who lived in poverty. After all, things to sniff like gasoline and paint solvent are virtually everywhere. along with spray paint. Lawmakers made it difficult for anyone under legal age to buy these items, which many believed solved the problem. But inhalant use has never gone away completely. In reasonable suspicion training or DOT supervisor training, you will rarely hear anything about inhalant abuse for one reason--it is not required by the U.S. DOT. Is this a reason for supervisors not to have the information? Learn how important it is to be aware of inhalant abuse in the workplace. When speaking of abuse, we mean "symptoms of use" and actual use on the job. The former could be physical neurological deficits the origin of which are inhalant abuse. Industries that require employees to frequently use paints or solvents are usually on the lookout for the signs: paint on an employees’ face, plastic bags that contain paint or solvent, or a strong smell that is out of place for its location in the workplace, to name a few. In these workplaces employees may gradually get addicted to the items they use constantly to do their jobs. Here's a shocker: For children under 12 the most commonly abused substance after Alcohol, marijuana, and tobacco are inhalants! 13% of teens have tried huffing inhalants. In other industries people most likely to abuse inhalants are those who are attempting to stay away from street drugs. The guy trying to stay clean for a drug test may get desperate and alleviate his cravings through inhaling diesel fumes or a chemical used by your organization. Your company could be liable for accidents related to inhalant abuse, especially if the employee gets the means from your facility. Be on the lookout for behavioral changes. 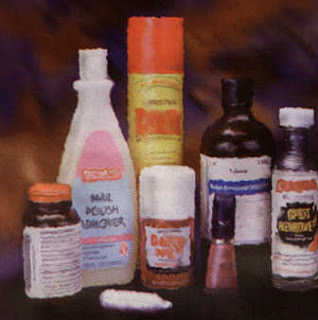 Inhalant abusers can appear drunk, euphoric, drowsy or seem to be experiencing hallucinations. It’s important to address this type of abuse early because the effects can be devastating. Misuse of flammable inhalants could put your entire workplace in danger of fire or explosion. There are also the risks associated with inhalant abuse that you see with drugs and alcohol, such as on-the-job accidents. Anyone who abuses inhalants set themselves up for serious illness and even death. Only one instance of abuse can lower the user’s oxygen level to deadly levels or disrupt heart rhythm. Long-term abuse can lead to organ failure and brain injury. Many of the substances used are known to cause cancer with long-term exposure. Don’t let inhalant abuse fly under your radar. Receiving adequate training and passing it on to line supervisors can help your organization stay vigilant against this disturbing menace. Keep your workplace safe and healthy for all of your employees.